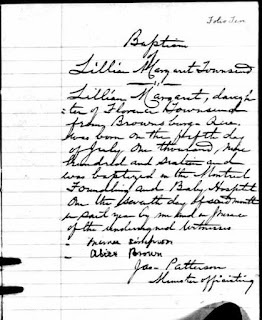 Florence was the daughter of James E Townsend and Margaret Wickliffe. 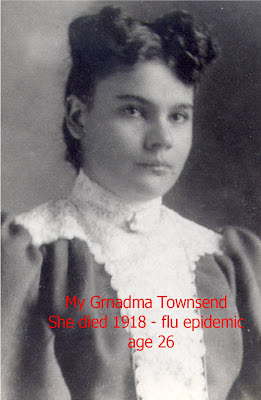 Florence was born 12 Jan 1891 or perhaps 20 Jan 1891 in Quebec, Canada. 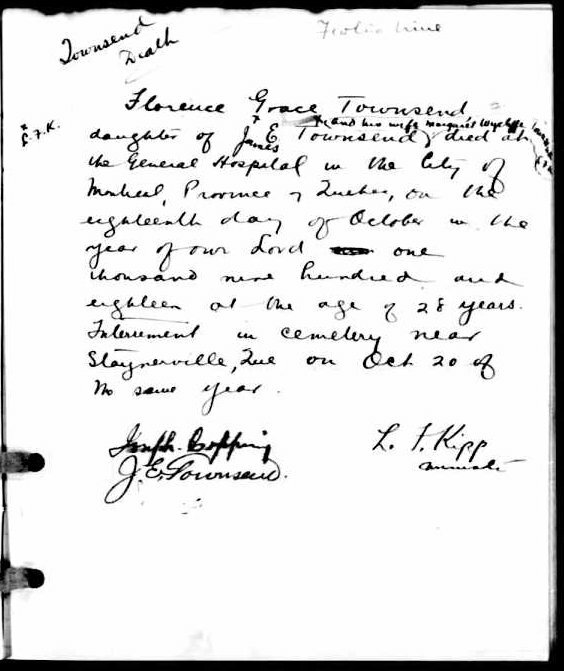 Her birth was registered in Grenville in 1893. On the 27th Jun 1916 Florence witnessed the marriage of her brother Gordon in Daleville, Quebec. At the time she must have been very pregnant! 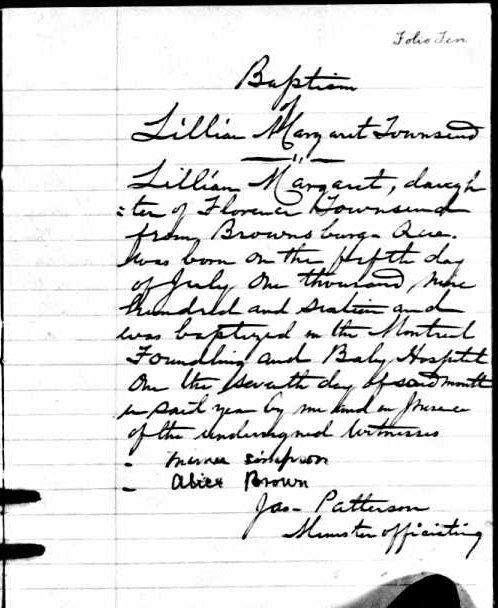 On the 5th of July 1916 in Montreal, she gave birth to Lillian Margaret Townsend. Florence died 18 Oct 1918 in Montreal, Quebec, Canada during the flu epidemic. photo supplied by Jean Mulligan Monette, her granddaughter.